FrictionLabs recently sat down with Neely Quinn, founder of TrainingBeta, to ask her about training practices, her love of climbing, and her company. Neely gives some incredible perspective here and shares a special gift with readers at the end! Well, I started climbing when I was 19 while I was living in Sequoia National Park. After that job, I quit college for a semester so I could go travel around with my boyfriend and climb in the Southwest. After that, I was hooked. I climb about 4 or 5 days a week, and I mostly sport climb with some bouldering thrown in there for training power. What sparked your interest in climbing training? I think it was the same thing that sparks everyone’s interest: I wanted to get stronger! I’m a pretty competitive individual, and I hold myself to a high standard with most things - climbing has been no exception. I started “training” in the first couple years I was climbing and haven’t stopped except when I had shoulder surgery. I think training itself is fun, but it’s also really awesome to see results. It can happen so quickly! I love it. I have many, but I guess my biggest weakness is my head. I get scared a lot, which is why I don’t boulder, and also why I don’t trad climb. When I get scared on sport climbs, sometimes I’ll toprope them a couple times just to practice the moves to feel more comfortable on lead. Sometimes I make myself take baby falls on hard sections, and gradually move up to bigger falls, which really helps my head. I’m much more of a redpoint climber than an onsighter because of this. Once I practice something scary and get used to it, I can usually send it if it’s within my physical ability. It’s funny because you can train your muscles and tendons all you want, but if fear gets in your way, none of that matters. If you could give a single training tip or exercise to a new climber, what would it be? Well, I’m not a trainer, but after having talked with so many trainers and climbers on the podcast, I think it’d be to just climb. I know that sounds lame, but for a new climber, it’s the best thing you can do without injuring yourself. I think it’s really common for new climbers to get super psyched and climb every day, but remember that your body needs rest in order to grow those muscles and develop healthy tendons, so definitely give yourself some rest days! If you want to do other stuff in the weight room, work your oppositional muscles by doing pushing exercises like push-ups, shoulder presses, and bench press. That’ll help you not get injured. And do your shoulder exercises! Don’t end up like my husband and me! Definitely go online and find rotator cuff exercises, or get Jared Vagy’s book on injury prevention for climbers. Do you recommend different training for indoor vs. outdoor climbing? Again, I’m not a trainer, but after having talked with so many trainers and climbers, the only time I think it really matters is if you’re training specifically for competitions. It seems difficult to go from climbing outside all the time straight to a competition. However, climbing and training indoors does seem to prepare people pretty well for the outdoors. So no, I don’t really recommend different training for indoor vs. outdoor climbing unless you’re a comp climber trying to make it to Nationals or World Cups or something. What's the best way to get started with a climbing training program? What are some things to definitely avoid when getting started? If you want to start training, I think you should just start training! That’s the most important thing: that you’re doing SOMETHING other than just going into the gym and having fun. I mean, even hard training can be “fun” in its own way, but people usually don’t get stronger just by going into the gym and doing routes or boulder problems that come easily to them. So getting started is the most important first step, even if it just means that you’re going into the gym with an agenda rather than as a social outing. Having said all that, I think the training program you end up doing should be appropriate for your skill level, your strength level, and your time constraints. Be realistic about where you’re at with your climbing and how much time you have to spend at the gym. Then take into account any injuries you have. Do your shoulders hurt a lot when you climb? Your fingers, elbows? If that’s the case, a training program may not be what you need. You may need to see a physical therapist and get some body work, and/or maybe work with a trainer who can work around your injuries while still helping you get stronger. Also, start slowly and let your body adapt. If you’re starting a finger training or a campusing program, don’t start doing it 3 times a week right off the bat if you’ve never done those things seriously before. Maybe do it once or twice a week to begin with, and go easy for the first few weeks until your body has a chance to figure out what’s going on. You have the rest of your life to train, after all. You don’t want to injure yourself in the first month! As far as which training program to use, I’m obviously biased :) But I do think our training programs on TrainingBeta are awesome, in that they’re super easy to use. You just go to the gym and what you need to do that day is all written out in plain English with video demonstrations to show you how to do each exercise. That’s what I was missing before I started TrainingBeta. I was looking online and reading training books, and I was just so confused. I just wanted someone to tell me what to do! I didn’t want to scour graphs and read a bunch of theory to figure it out myself. So that’s what we offer: clear, step-by-step workouts every day you train. How do you recommend people warm up on climbing days? This is something I’m learning more about, actually. I just had a really great interview with Neil Gresham, a climbing trainer out of England. He says that 5-8 minutes of cardio is the best way to warm your body up for climbing because it gets the blood flowing and your body actually gets warm. So, for instance, jogging or burpees or something like that. I’ve also been doing circles with my arms and dynamic stretching (moving while I’m stretching my back, legs, arms, so it’s not “static” stretching, which has been shown to potentially be detrimental to athletic performance if performed beforehand). Other than that, just make sure you climb enough easy stuff to actually feel warm and limber and like your tendons aren’t going to explode. If you get flashpumped, you didn’t warm up well enough. A flashpump is when you’re climbing and your forearms and everything just sort of seize up and you can no longer grab holds. It happens quickly, and in my experience, it’s from not warming up enough. Do you have any training secrets you've found to be helpful for climbers with common aches and pains? Hmm… this is a hard one. So there are many reasons for aches and pains, and as a nutritionist, I’ll start with food. Inflammatory foods can cause inflammation in any part of your body that it wants. So if you’re eating foods that you’re personally sensitive to (that your body has an immune response to), then that could be causing your pain. For instance, when I eat nuts and seeds, I have tendonitis in my elbows and fingers. Coincidentally, my husband has the same experience, as well as his mom. We’ve figured this out by trial and error, and notice that when we eat those things, we have significantly more pain. So we don’t eat those things (among other foods for similar reasons). So if you have nagging pain, I’d experiment with your diet by taking foods out for a week or so and seeing if it makes any difference. The biggest offenders are these foods in this order (in my experience with clients): gluten, dairy, all grains, soy, white sugar, all beans, nuts and seeds. Other than diet, there are many other reasons people get aches and pains, including overtraining, bad body mechanics, muscle imbalances, and occupational overuse. You have to figure out which one(s) of those things are contributing to your issues and go from there. Are you sitting at a desk all day at work with poor posture and that’s causing your neck/back/shoulder pain? Are you flaring your elbows out when you climb all the time, causing wrist and elbow pain? Are you overgripping on holds, causing finger pain? Are your lats or deltoids underdeveloped, causing shoulder pain? Things like that. Good trainers and bodyworkers can help you figure all of that out. You've got a lot of awesome training programs on your site. What's the most popular one? I think our Bouldering Strength and Power program is our most popular one. It goes through 6-week cycles of power endurance, power, and finger strength, and we’ve had a lot of people tell us they’re stronger because of it, which is awesome! Climbing trainer, Kris Peters, put it together, and basically we give people 3 unique workouts every week, where they’re focusing on one of those tenets of training. However, even if the 6-week cycle is called power endurance or power or whatever, they’re still maintaining everything else they’ve gained through other cycles. They’re just focusing on that particular thing, but still doing other exercises throughout each cycle if that makes sense. The program is also really unique in that it caters to almost every level of climber. I mean, as long as you have a base of fitness and strength, you can use our programs because all of the exercises are scalable depending on your ability level. We show you in videos how to make things easier or harder, so it’s pretty easy to do on your own. I think one of the reasons it’s so popular is that a lot of people only have a bouldering wall to climb on, so they just use this program to train for routes, too. It does a good job of building power endurance, which is something almost every route climber (and boulderer) needs. We have a program for route climbers that’s similar to the bouldering one, and it’s a close second in terms of popularity. What's your favorite climbing gym? What's your favorite place to climb outside? Ha! Well, I think you know the answer to this one because I wrote to you guys when I had it. 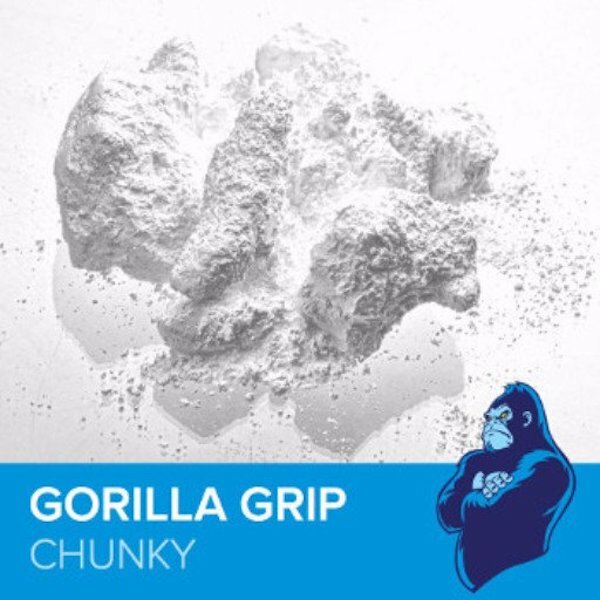 Basically, you guys sent me some FrictionLabs chalk to try out (thank you!) and I used it for a while. Then I forgot my chalk bag at the gym or something and had to borrow someone else’s, who was not using your chalk. I put my hand in the bag and was like, “What the hell is that stuff? Is that even chalk?” It felt like baby powder or something, and right then I knew I’d never use anything but your chalk. The same thing has happened a few times now where I have to use some other brand, and every time I am blown away by how different it feels and how it doesn’t stick to my hands like yours does. I’m a believer! You crave the moment where your grip does more than you thought it could. That split second is nirvana. 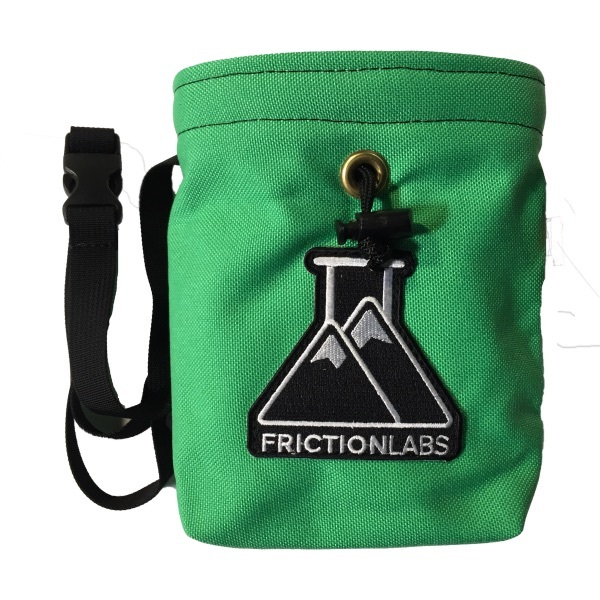 At FrictionLabs, we help you find that feeling. We use science to engineer the best chalk anywhere. Try It to experience better performance, safer breathing, and healthier skin.